The rapidly escalating growth curve of Third-Party Logistics (3PL) Market is quite evident from the numerous collaborations witnessed across this business sphere. For instance, recently, CFAO Equipment Ltd, one of the many leading suppliers of industrial and construction equipment across the globe, has signed an agreement with a Ghana-based logistics company called Third Party Logistics Limited. As per the conditions of this partnership, CFAO Equipment will be providing Toyota forklifts to Third Party Logistics to be used in its business operations. 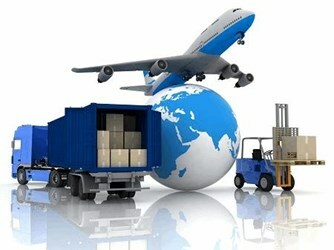 Third party logistics industry is characterized by innumerable such acquisitions, subject to the widespread utilization of these services by major companies across myriad geographies, owing to which Global Market Insights, Inc. claim 3PL market size to cross the frontier of USD 1,100 billion by 2024. With the massive expansion of companies across the globe and the simultaneous expansion of their consumer pools, it is but obvious that the 3PL market will observe a meteoric rise over the next few years. This business space is driven by numerous factors, such as the requirement for reduced shipping costs, time product delivery, consumer satisfaction, and the need for an efficient technologically advanced supply chain network. However, in the ensuing years, 3PL industry will be majorly impacted by two key factors – technological innovations and the escalating growth of the e-commerce sector. Robust road infrastructure that enables effective transit of freight & goods to & from the production plant is expected to impact the third-party logistics operations across the Asia Pacific region. The continent also houses large manufacturing units, while a majority of the warehouse & distribution operations in the area are supported by strong internet connectivity and escalated economic development. With China being a key revenue pocket, APAC 3PL industry is likely to witness massive gains. The U.S. firms outsource transport and logistics services to the third parties to concentrate on their core competencies. In addition to this, an escalated urge for having just-in-time inventory management system is expected to lay the foundation of a lucrative roadmap for U.S. 3PL industry. Furthermore, the region has established strong trade relations with other nations that will support the expansion of its air freight sector, thereby generating a positive growth map for U.S. 3PL market. Solution is classified into Domestic Transportation Management, Dedicated Contract Carriage, International Transportation Management, Software, Warehousing & Distribution. The adoption of various software solutions, such as cloud ERP and SCMs, is expected to positively impact the 3PL market growth. An increase in efficiency and a significant cut in costs enable the providers to increase their profit margins. Features, such as inventory tracking and online documentation for international freights, are attracting manufacturers toward the 3PL solutions. Mode is classified into Air, Sea, Rail & Road. The rail & road modes are generally used by service providers for domestic transportation management in the 3PL market. These service providers deliver transit options, cost saving opportunities, environment-friendly surface transportation mode, and alternative capacity. These benefits are encouraging governments to provide support to providers to adopt these modes. Rising economic conditions across the world are causing governments to increase investments in the port infrastructure. Upward growth in online sales and e-commerce has prompted the rapid adoption of air as a mode of transportation. Customers are willing to pay premium prices to get their products delivered quickly and efficiently. Designer fashion accessories & apparels and high-end electronics make up for a good percentage of air cargo. Key Players: - FedEx, UPS Supply Chain Solutions, Kuehne + Nagel, Expeditors International, J.B. Hunt (JBI, DCS & ICS), and Deutsche Post DHL (Exel).